You wish to revitalize yourself in La Drôme, discover its cultural estate and explore its natural wealth ? 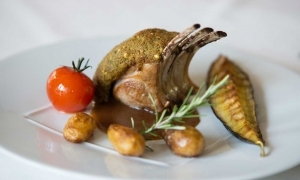 Located at the heart of the Vallée de la Drôme, the Hotel Restaurant La Saleine, in Crest, welcomes you all year long. 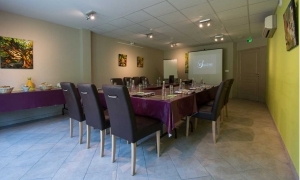 Our establishment benefits from its idealistic location that will allow you to travel around from the Provencal Drôme to the Vercors and from l’Ardèche to the Dauphiné. From its proximity with la Vallée du Rhône, between Valence and Montélimar, La Saleine represents an advantageous break, for holidays’ departures and returns. Our attentive and professional team reserves for you a friendly welcoming. The surroundings with its gardens, its swimming-pool and its familial atmosphere will make your stay in La Saleine a relaxing moment. The restaurant, which is open for lunches and dinners, will delight the taste bud of food lovers by proposing a local cuisine and fresh products carefully chosen by the Chef and his passionate team. Thanks to the outside sitting area and the different rooms, La Saleine will welcome all your events. Seminars or family meal, our team will organize your receptions in the best conditions. Let yourself be seduced A rich territory and conducive to moments of relaxation. 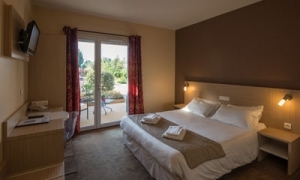 Open all year, our hotel welcomes you in the spacious and contemporary setting of its "standard" rooms, family or adapted for people with reduced mobility. Come and discover our menu inspired by the diversity of local products, renewed throughout the seasons by our chef and his selection of regional wines. From room rental to the organization of family events, professional or associative, La Saleine offers a wide range of possibilities. The whole team of "La Saleine" is pleased to welcome you in an exceptional setting. The establishment is located in one of the "most beautiful detours of France"